For most people, the taste of the marine phytoplankton powder is slightly seaweed like, tasting of the ocean. For anyone who has taken spirulina, chlorella or blue-green algae, the taste will be familiar. It’s intense, clearly highly nutrient-rich and, depending on your taste buds of course, either a clean fresh shot of goodness or possibly something you’d rather get down without tasting it too much! Our recommendation is to take it on an empty stomach. The presence of stomach acid in your system will lessen the efficacy of the powder. An ideal method would be to drink it slowly, allowing it to be absorbed through the mouth and oespophagus and then into the blood stream. What the best Phytoplankton Dosage? Our recommended dose is 1g per day which is half a level teaspoon. We recommend taking it before lunch, so that the energy boost doesn’t intefere with your sleep. We would also suggest trying to be disciplined about taking it once a day – like anything your body responds to regularity. Keeping it simple, many people mix their plankton powder into a quarter glass of filtered water. Give it a good stir, and the plankton should dissolve beautifully. There’s a marked difference actually between how easily plankton breaks down as opposed to other green powders we could name which seem to stick to the glass forever. Any juice works but we like apple, since it’s slightly less acidic than pineapple or orange. The taste of the phytoplankton seems to balance really well also. Carrot juice is another good mixer although less readily available in most fridges. 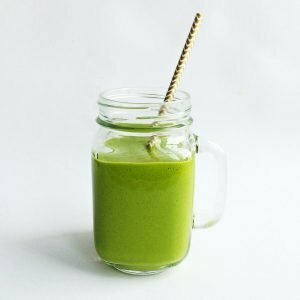 For many health fans, the green smoothie has become a staple part of the diet, offering a combination of many fantastic nutrient sources in one filling mixture. If you’re into green smoothies, phytoplankton works an absolute treat and you should just mix it in as you would any other powder, such as wheatgrass or barley grass etc. Bizarelly, though, we’ve heard many reports from people who simply stopped making green smoothies after getting into plankton. It’s as if the body’s cry for intense nutrition starts to simply fade into the background, because the phytoplankton is simply giving you everything you need in such abundance. Simply put the following into your blender of choice and give it a buzz until smooth. Does marine phytoplankton need to be refrigerated? No, it doesn’t. Just keep it in a cool, dry place and it will be fine out of the fridge. Yes it does. Our packets generally have a shelf-life of around twelve months, which is based on it being kept in a cool dry place within the air tight pouch. Beyond this, the delicate cellular integrity of the product begins to degrade. In any case, most people finish theirs much more quickly and just keep ordering a fresh supply.